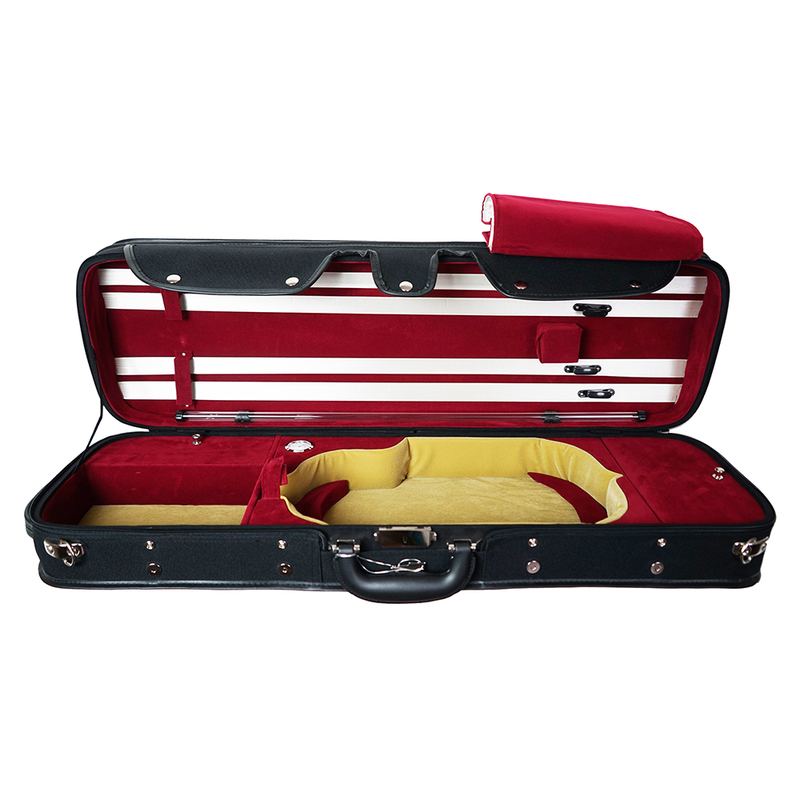 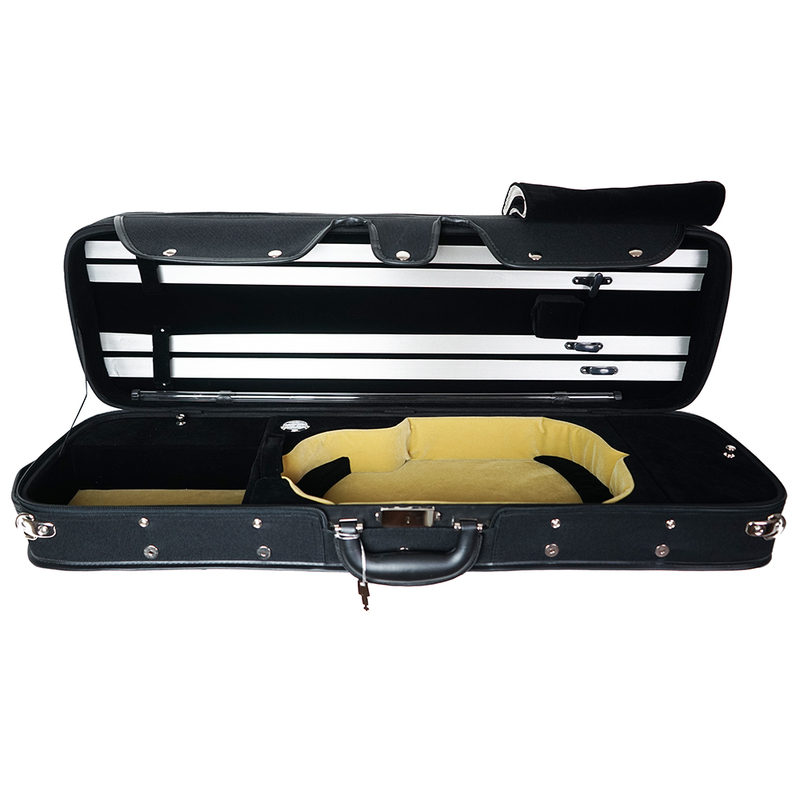 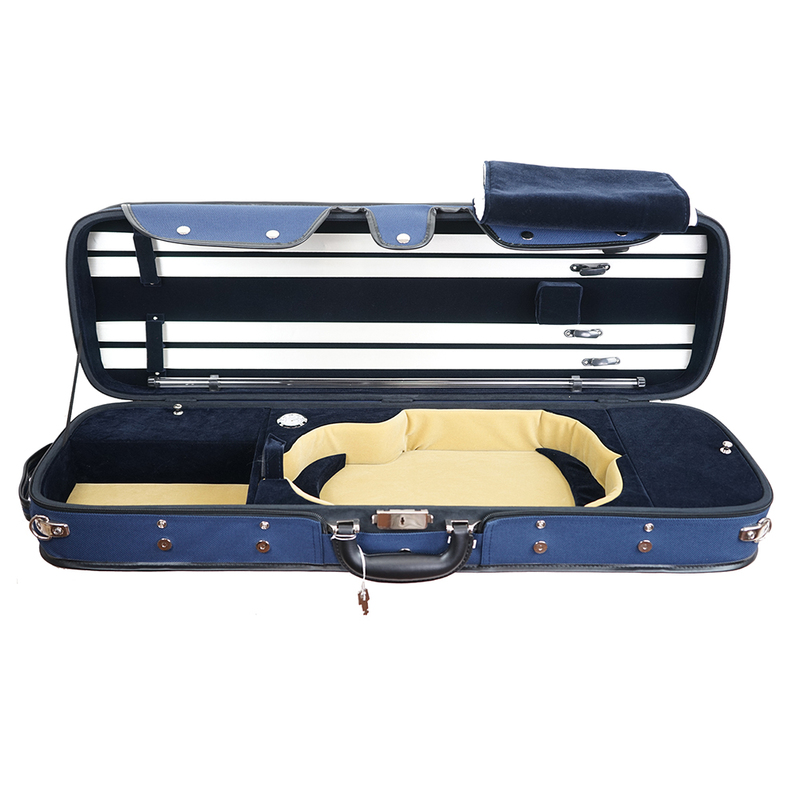 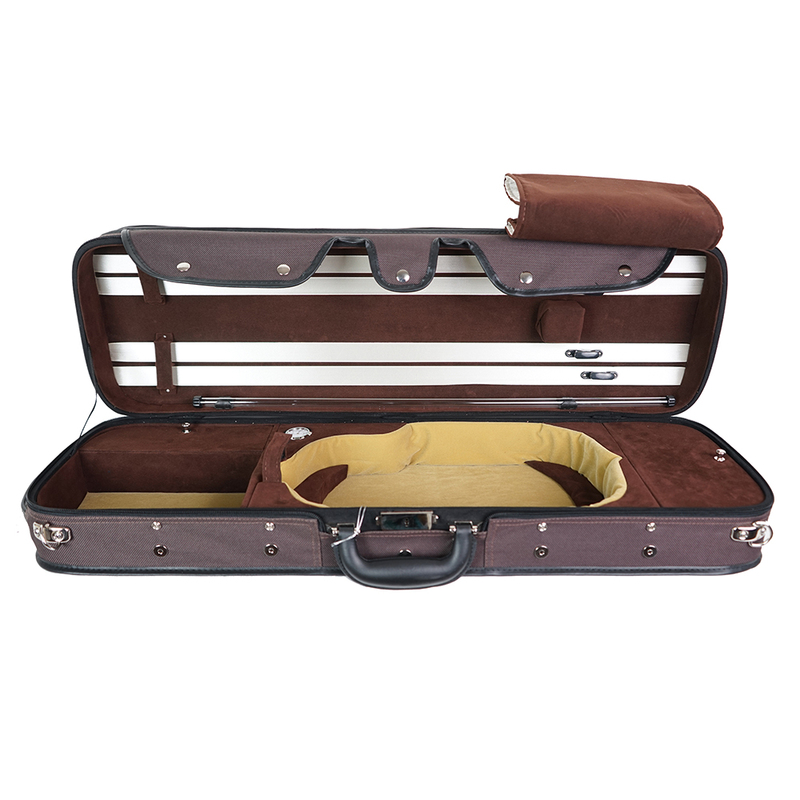 Sturdy woodshell violin case. Full suspension. 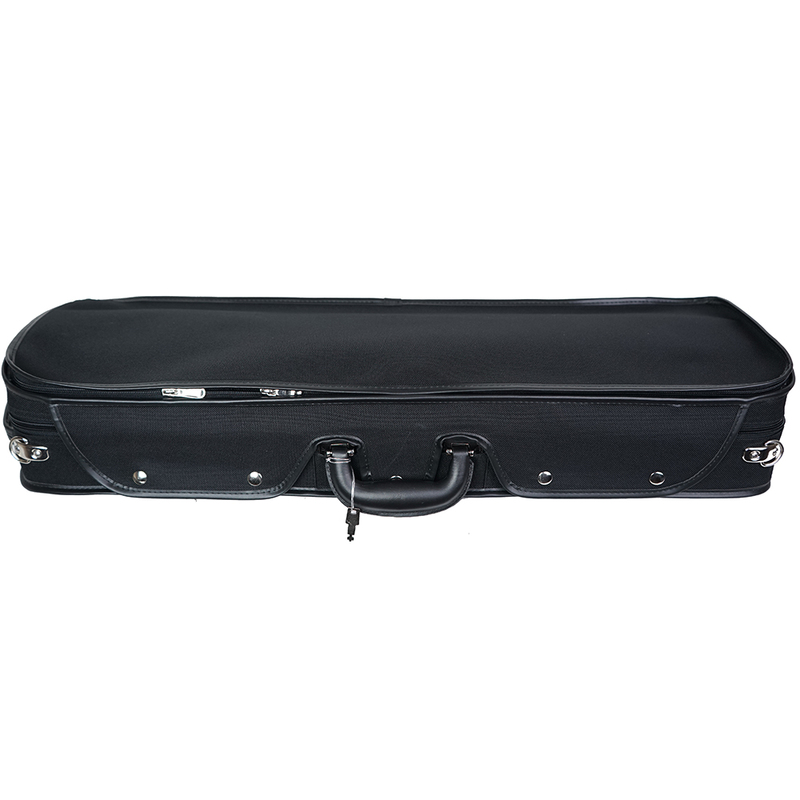 Cordura cover with rain flap, Two accessory pockets, four bow holders, built-in hygrometer, Instrument blanket, Clear string tube. Shoulder strap and exterior music pocket.